In this 10 part live action series MADE, kids have the chance to connect with host Yasmin Evans (BBC Radio 1Xtra) who will attempt to make their dreams and imagination a reality. In MADE we see ‘speed creating’ in action as one kid works with Yasmin to bring their digital dreams to life in explosive 5-minute packages. The rules are simple and the format is dynamic, with elements of real drama and ‘will they wont they’ tension as our team’s race against the ever-present digital countdown ‘Clock of Doom’. Whether a child wants to build an electric cloud, a digital fashion wardrobe or print some cool 3D furniture the MADE team will pull out all the stops to make it happen. 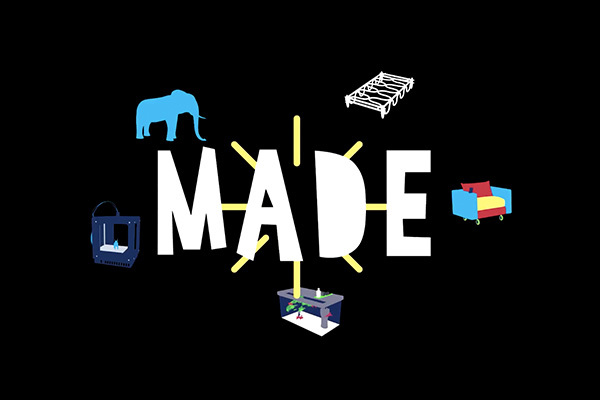 MADE is a mash up of the best bits of linear and digital, combining to form a fresh new format the brings fantasy to life.